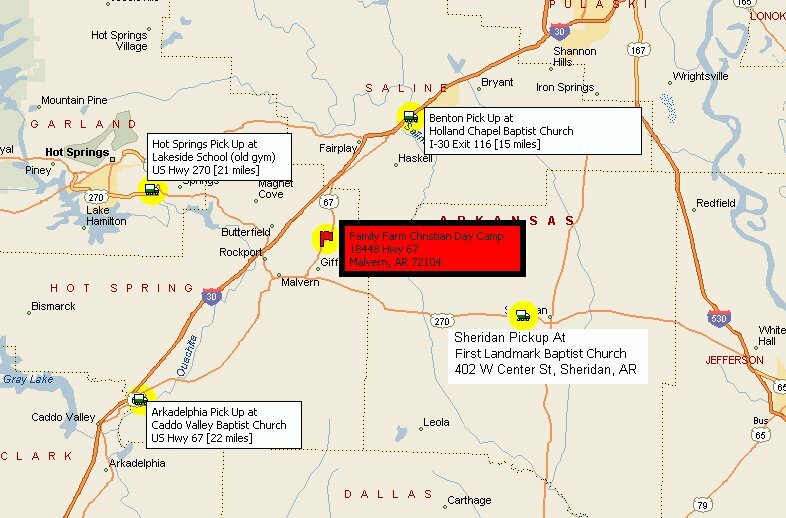 Family Farm offers transportation for the campers from Benton, Hot Springs, Arkadelphia, and Sheridan (if available). Parents just need to drop their kids off at the location that is closest to them between 7:50 am – 8:00 am. Parents can pick up their kids between 4:50 pm – 5:00 pm at that same location. There is a travel fee of $15 per week. All parents are welcome to drive their children to the camp, but this transportation is an option for those that would like to use it.